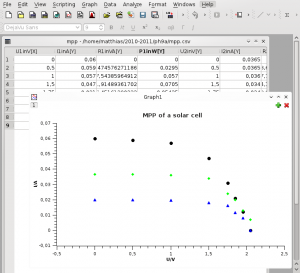 QtiPlot analyzes and visualizes scientific data. Presents 2D and 3D data. Includes various data analysis functions like linear and non linear curve fitting. Rendering 3D using OpenGL using the Qwt3D libraries. Simply plotting some data from a table. 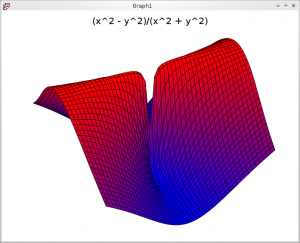 3D plot of a surface with a singularity at the origin. This page was last modified on 16 December 2018, at 15:35. Content is available under Creative Commons License SA 4.0 unless otherwise noted.